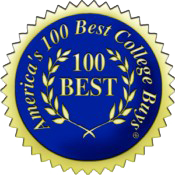 Belhaven is one of only 100 universities in the country that received the distinction of America's 100 Best College Buys. This is the 11th consecutive year Belhaven was recognized for its affordability and financial aid available to Belhaven students. Belhaven recognizes that cost is an important factor to be considered when evaluating a degree program. Adult students are classified as full-time students and have the option to finance their education with Financial aid. You must complete the Free Application for Federal Student Aid (FAFSA). For details about the costs associated with each of our accelerated degree programs, contact a program representative at 601-968-5988 or jackson@belhaven.edu. Also, see the University Catalogue for additional tuition information. 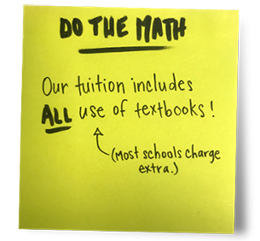 Download the Tuition Worksheet-Jackson (PDF) or Madison (PDF). Technology and resource fee: This $75 per course fee is required of all students and helps to cover the cost of providing the technology and resources needed for success. The technology and resources include (but are not limited to), the online learning management system, Belhaven’s electronic library resources, student email, computer labs at the regional campus locations, web based tutorials, academic resources, online student communities, and campus and online technology upgrades. * There is a tuition discount for all Mississippi students in these programs. Also, books are not included in tuition for these programs.